MOSCOW — After a week of unanswered questions, Russia acknowledged Thursday that five of its citizens may have been killed by a U.S. strike in Syria, the first time Russians have died at U.S. hands in Syria’s chaotic battlefield. Russian Foreign Ministry spokeswoman Maria Zakharova emphasized, however, that the five victims weren’t Russian servicemen. 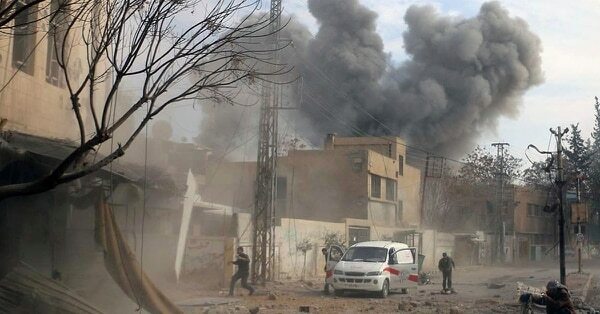 U.S special operations forces embedded in Syria came under attack from pro-regime forces on Saturday for the second time in less than a week. Until Thursday, both Russian and U.S. officials said they had no information on Russian casualties in the Feb. 7 clash, which came when pro-Syrian government forces attacked positions of the U.S.-backed Syrian Kurdish fighters in Syria’s oil-rich eastern province of Deir el-Zour and faced a ferocious U.S. counterattack. Zakharova wouldn’t describe how the Russians died, saying the circumstances of the clash are still being clarified. Still, her statement amounted to official recognition that the victims were part of the force that advanced on the U.S.-backed fighters. This marks the first time that Russian and U.S. combatants have directly faced each other in action in Syria — a scenario Moscow and Washington have anxiously sought to avoid. Russian forces are supporting the Syrian government in its fight against opposition groups, some of which are backed by the United States, and elements of both sides are fighting the last remnants of the Islamic State group in Syria. The U.S. military has said it maintained contact with the Russian military in Syria before, during and after the Feb. 7 clash. The Russian Defense Ministry insisted its troops weren’t involved in the clash but said 25 Syrian volunteers were wounded. Russian news media and social networks have published many reports about the fighting, describing how U.S. aircraft decimated Russian private military contractors who sought to take control over an oil factory near Khusham. Some reports put Russian losses at 200 or more, and a growing chorus of politicians and commentators slammed the Kremlin for failing to acknowledge the casualties. Other reports detailed how the Russian private contractors get a slice of the revenues for each oil or gas facility they take over, giving a motive for why they might have challenged the U.S.-backed force. Russian President Vladimir Putin is facing a re-election vote on March 18 and any reports of large numbers of Russian deaths in Syria could create a public relations problem for him. The closer the U.S. gets to its original goal in Syria of defeating the Islamic State group, the murkier its end game. New layers of complexity are descending on a shifting battlefield, as demonstrated by a deadly barrage of American air and artillery strikes on a shadowy attacker. Previously, Putin spokesman Dmitry Peskov said that some Russian citizens could be in Syria but that the Kremlin doesn’t have any information about them. On Thursday, Peskov denied that Putin had ordered information about Russian casualties in Syria to be kept from the public. Alexander Baunov, an analyst with the Carnegie Moscow Center, said the government would wait out the uproar to minimize the political damage. “Naturally, the less people hear about this, the fewer unpleasant thoughts Russian voters have,” he said. Along with the Russian military, which has supported Syrian President Bashar Assad’s government since September 2015, thousands of Russians have also reportedly fought there as private contractors. The private fighters allow the Kremlin to keep the official death toll from its campaign in Syria low. The push for oil assets appears to have been the top mission for Russian private contractors in Syria. The U.S.-backed Kurdish-led forces have been vying with Russian-backed Syrian troops reinforced by Iranian-supported militias for control of the oil-rich Deir el-Zour province. It was unclear why pro-government forces acted so brazenly on Feb. 7 despite facing the obvious risk of a punishing U.S. counterstrike. Observers noted the Russian military might have lacked information about the private contractors’ move on oil facilities because of poor coordination. In the Feb. 7 clash, the U.S. military said a battalion-sized formation backed by tanks and artillery attacked the U.S.-backed fighters and the U.S. responded by unleashing a broad range of air power. For more than three hours, American F-15E attack jets, B-52 strategic bombers, AC-130 gunships, Apache attack helicopters and Reaper drones fired on the attacking force, killing about 100 attackers and destroying an unspecified number of artillery guns and battle tanks, said Lt. Gen. Jeffrey Harrigian, commander of U.S. air forces in the Middle East. 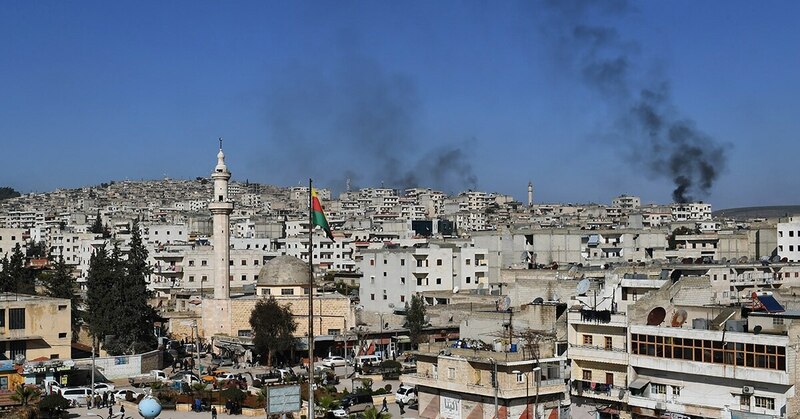 Some said the offensive was launched because of a rumored relocation of some fighters from there to the Kurdish enclave of Afrin in northwestern Syria, which is facing a Turkish offensive. Turkish Defense Minister Nurettin Canikli said Thursday he asked U.S. Secretary of Defense Jim Mattis for the United States to end its support for Syrian Kurdish fighters and remove them from a U.S.-backed Syrian Democratic Forces, or SDF, that is fighting the Islamic State group in Syria. Canikli, speaking in Brussels, said he told Mattis that U.S. support for the Syrian Kurdish militia, known as YPG, has helped Kurdish rebels in Turkey “to grow and strengthen,” posing an increasingly “existential” threat to Turkey. Canikli said he presented documents to Mattis proving “organic” links between the YPG and Kurdish rebels in Turkey. U.S. Secretary of State Rex Tillerson is due in the Turkish capital of Ankara later Thursday to discuss growing tensions between the two NATO allies. Iuliia Subbotovska in Moscow and Suzan Fraser in Ankara contributed to this report.